This is a wonderful book! 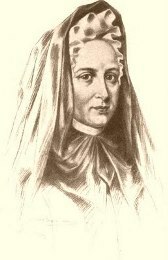 Jeanne Guyon (1648 –1717) was a French mystic and one of the key advocates of Quietism, a movement considered heretical by the Roman Catholic Church. She was imprisoned from 1695 to 1703 for the content of this book which was publically burned. Yet, the book, originally title A Short and Easy Method of Prayer, has been named as one of the most influential spiritual books ever written. Her main message explored at deeper and deeper levels, is that we are to keep returning to God by returning within. What this looks like will be different for each of us. Seek God within the heart, she encourages. “Keep on turning within! Do so in spite of every failure! Despite all the distractions that pull you away.” Drawing an analogy of the heart as a ship she says, hold the rudder of your heart on the true course which is God. Spread your sails by laying yourself before God in simple prayer, a prayer from the heart that is not bound by the limitations of the mind. Now that is a voyage that I desire in my heart! This is a book to be read and re-read and kept close by as a reference for spiritual practice. Please give this one a try! A product of French high society and widowed with three young children at the age of 28, Mme. Guyon devoted the remaining 40 years of her life to serving God through personal evangelism, writing, and helping the poor. She founded hospitals and gave away much of her wealth anonymously, a living example of the connection between contemplation and action. She traveled throughout France and Switzerland teaching people how to pray and challenging them to live holy lives. All the while, she sought an ever-deeper union with God to the point that she felt God possessed her, speaking and acting through her. For more information about Mme. Guyon, click here. 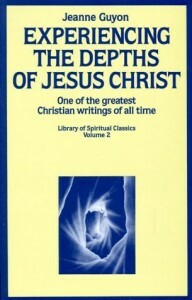 Experiencing the Depths of Jesus Christ. Auburn, ME: SeedSowers, 1975. NOTE: A Short and Easy Method of Prayer is a more recent release of the above recommended book by Madame Guyon. 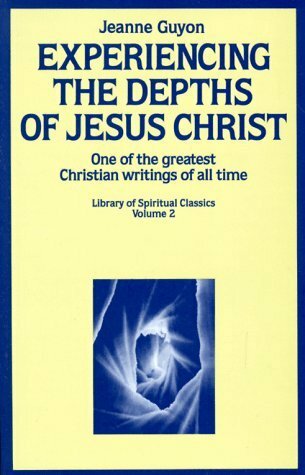 I find the format and translation of Experiencing the Depths easier to read. To order from Amazon.com, please click here.